Staring at a work of art is the same as gazing upon a spectacular sunset or a beautiful flower. Stainless steel engraving is the act of engraving a design into a stainless steel plate. It is a work of art that leaves a stainless steel plate looking more appealing to the eye. The following are stainless steel engraving frequently asked questions. How Is Stainless Steel Engraved? Printmaking technique is the earliest method used to engrave. It involved etching and true engraving. This technique was mostly used on copper plates as they are softer compared to steel. A general outline of a detailed image is made on the plate. Engraving produces a printed reverse image (mirror image) on the plate. To make the image naturally reversed, engravers looked at the object they were engraving through a mirror to have the image naturally relaxed. Today, stainless steel engraving is done using computerised stencils as opposed to using steel plate to transfer ink. 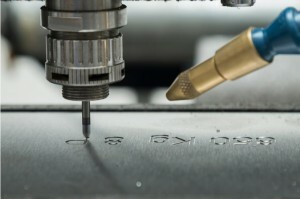 Technology advancement has made it possible to have machines that make stainless steel engraving easier. Can You Laser Engrave Stainless Steel? You can laser engrave a wide range of metals including stainless steel. Stainless steel is coated with a metal coating solution allowing laser engraving to leave a durable permanent deep mark. It provides a high contrast permanent mark. Can Stainless Steel Rings Engrave? Stainless steel has been traditionally used to make women and men’s wedding rings and band. Stainless steel is popular in making rings, as it is durable, resistant to corrosion and moisture resistant. Many people love to engrave their rings with their initials or those of their loved ones. Unlike gold rings, Stainless steel rings can be engraved. They can be best be engraved using laser engraving techniques. Can Any Steel Watch Be Engraved? Personalisation is important. Watches are engraved when given as gifts. You can also engrave your watch to give it that personal touch or theme you crave. An expert can engrave steel watches. If you own a steel watch or are planning to own one, you can personalise it by having it engraved. Stainless steel has been used in many ways. Its unique characteristics allow it to have diverse uses. If you own stainless steel jewellery, Able Engraving & Design Ltd can help you personalise your jewellery and other stainless materials. They offer professional engraving services including Traffolyte, brass and more. Using the most recent techniques, they engrave initials, signs or high definition images depending on your preference. This entry was posted in Able News and tagged engraved, engraving, laser, stainless, steel on 18th March 2019 by admin.